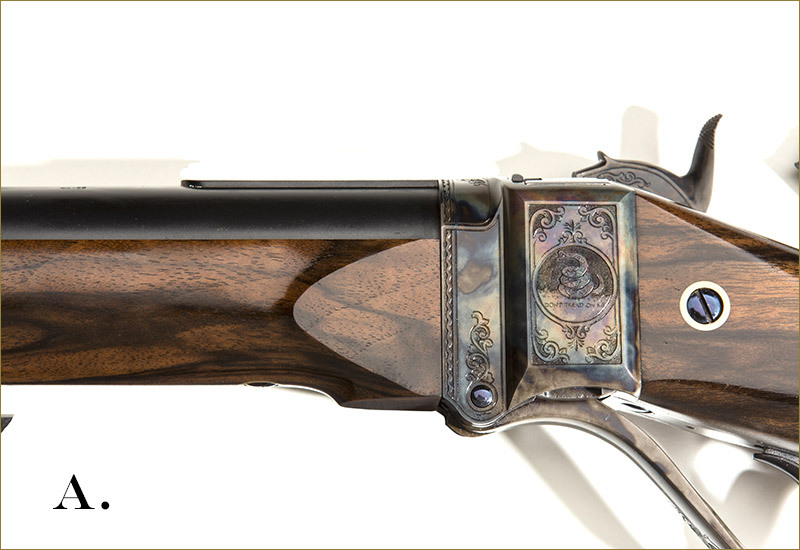 Buying a fine rifle such as our Shiloh Model 1874 represents a substantial investment. 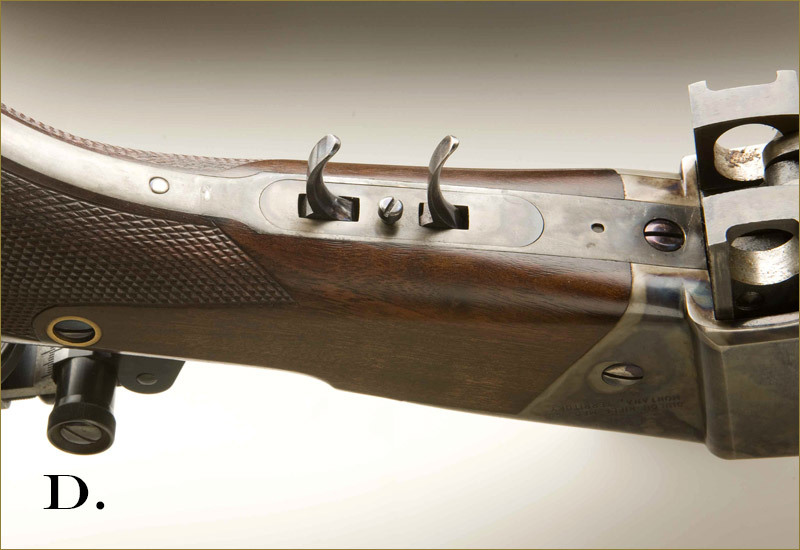 Therefore, it pays to give some thought beforehand to those optional features which might make your rifle unique. 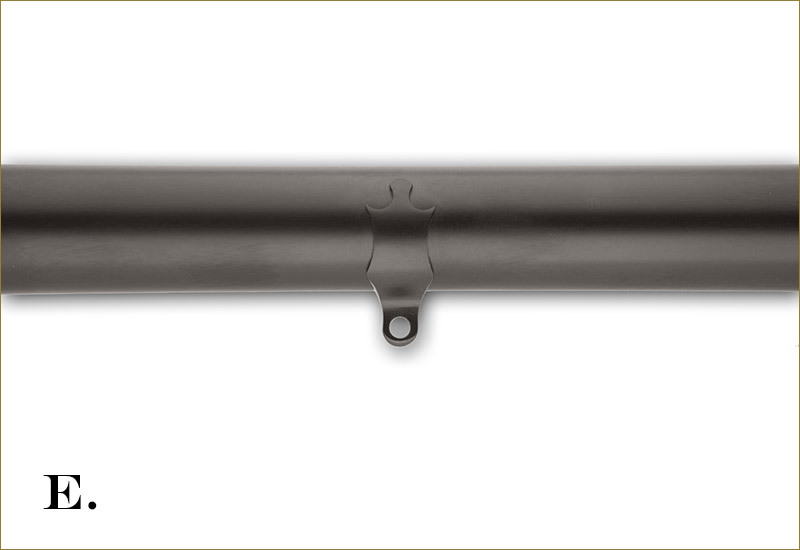 For instance, the pewter forearm tip is one of our most popular options. 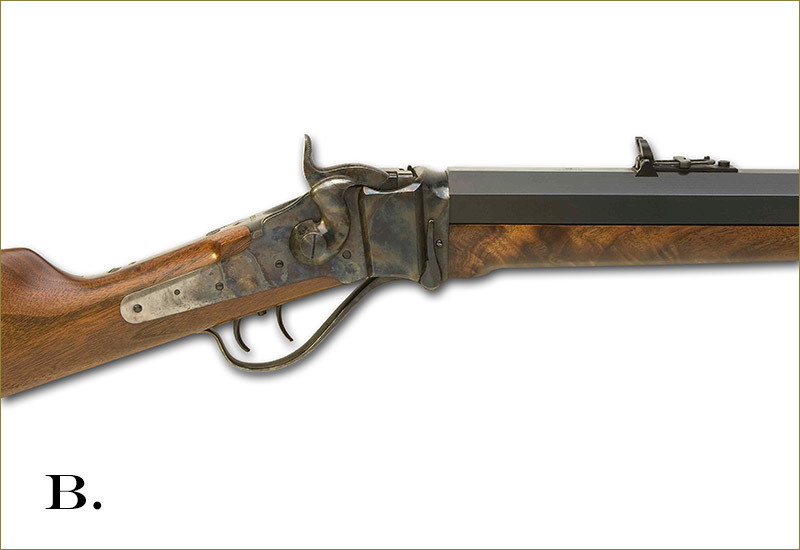 Although it serves no function, it is an elegant touch with historical precedent. 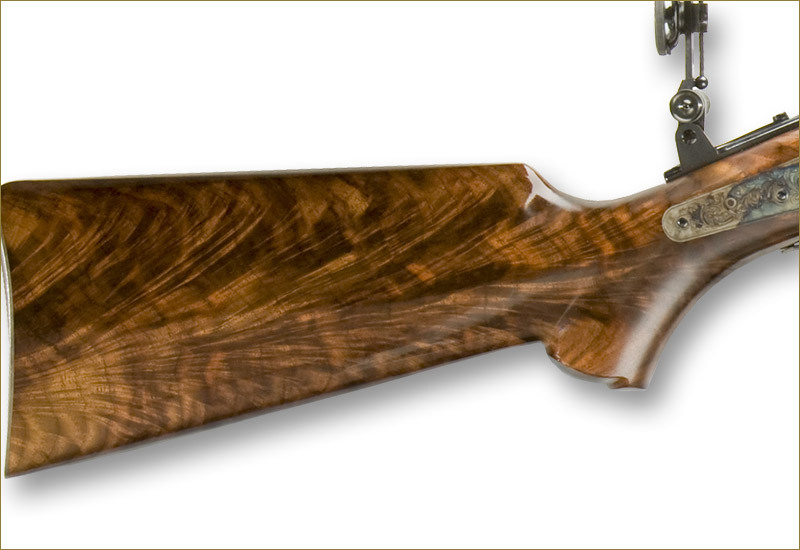 Another option that many rifle buyers order is an upgrade in the wood. 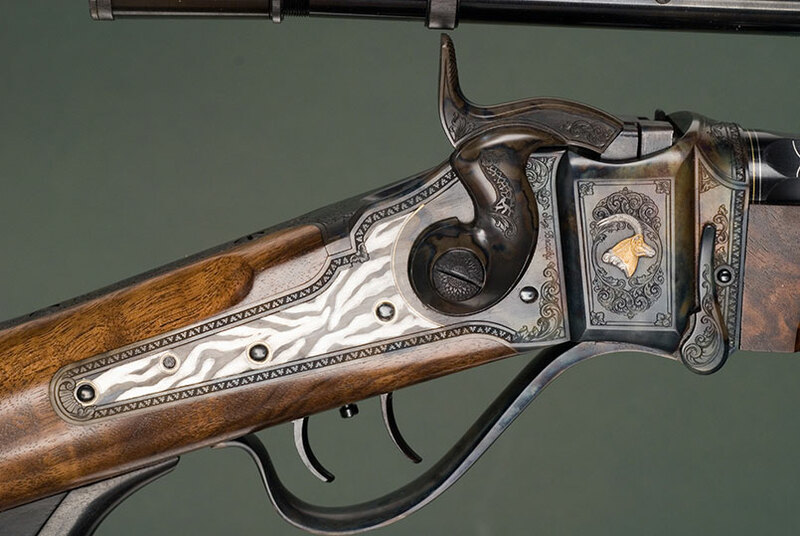 Stepping up from ordinary wood to semi-fancy or even extra fancy can make the difference in your rifle appearing as just one among others, or as a very special individual. 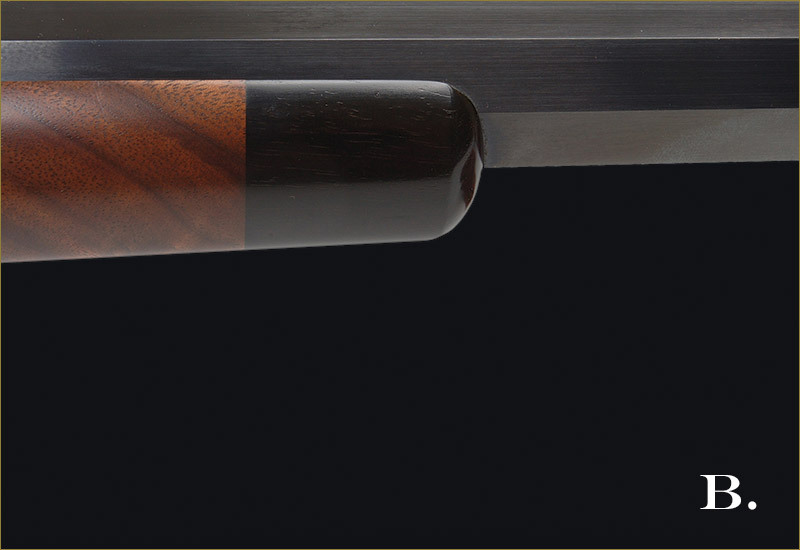 When going for extra special wood we also recommend our AA and AAA hand-rubbed finishes. 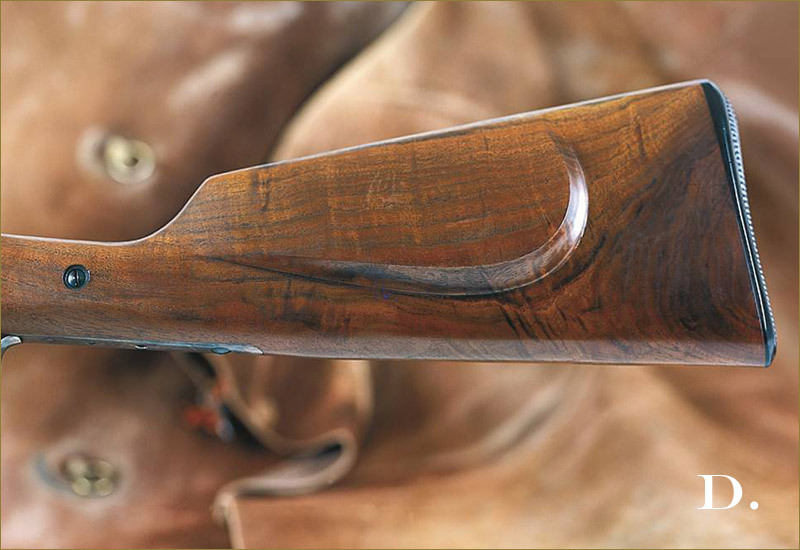 They give beautiful wood the protection it deserves. 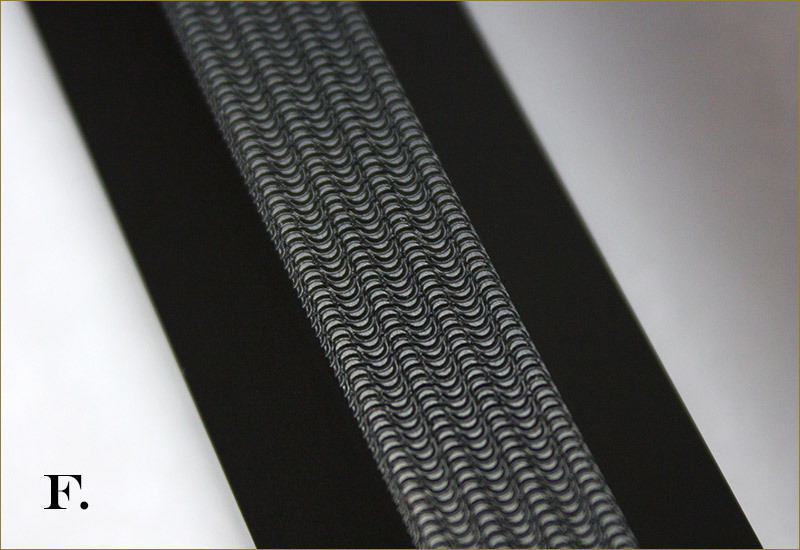 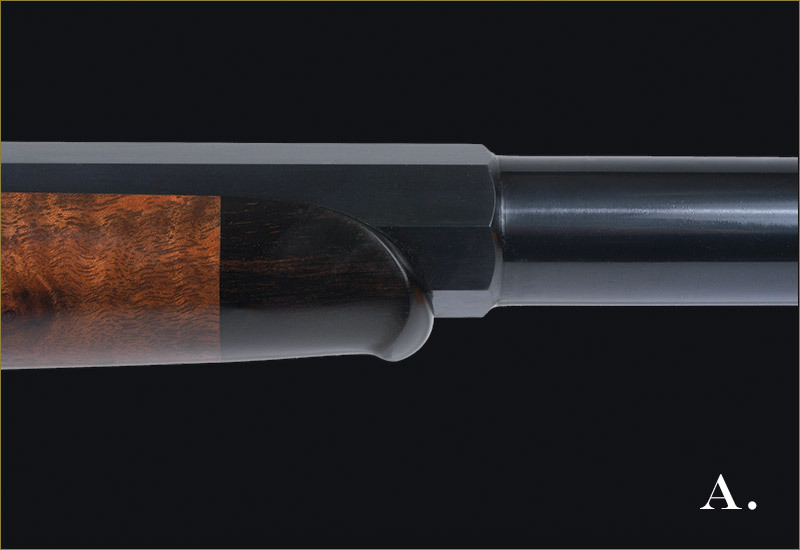 One custom option that serves a function besides cosmetics is to have the color case-hardened checkered steel buttplate fitted to the shotgun style buttstock. 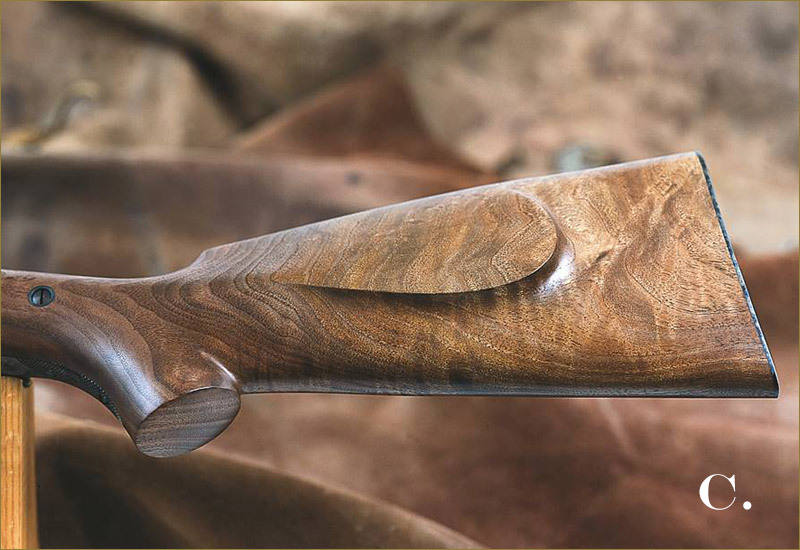 Not only does such a buttplate protect the wood during everyday handling, the checkering gives a nonslip surface while shooting. 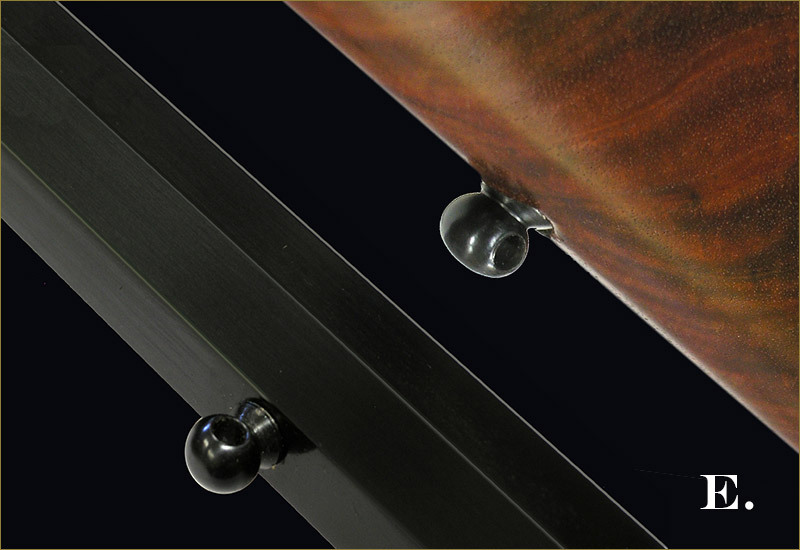 Rest assured the extra cost for custom options is never wasted. 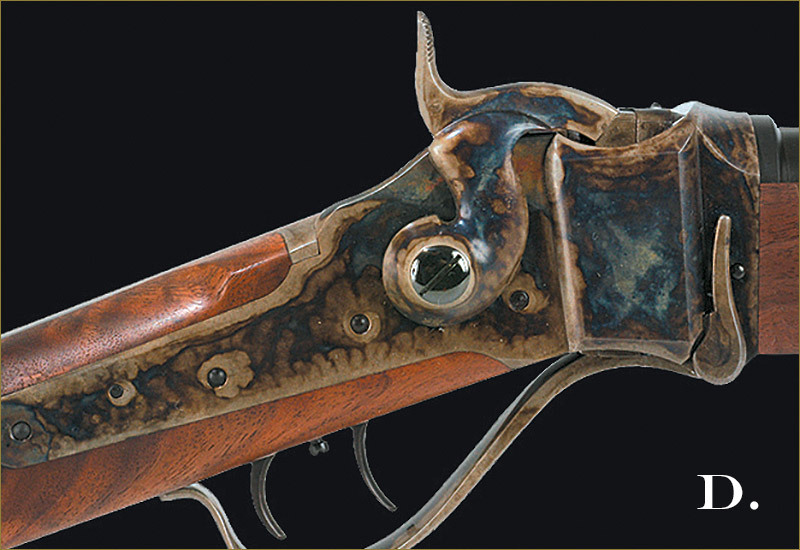 It only makes an already fine rifle more valuable. 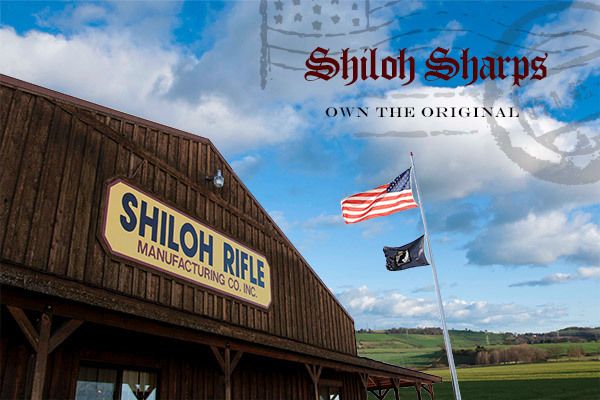 Shiloh Sharps reserves the right to refuse to produce certain barrel/caliber combinations. 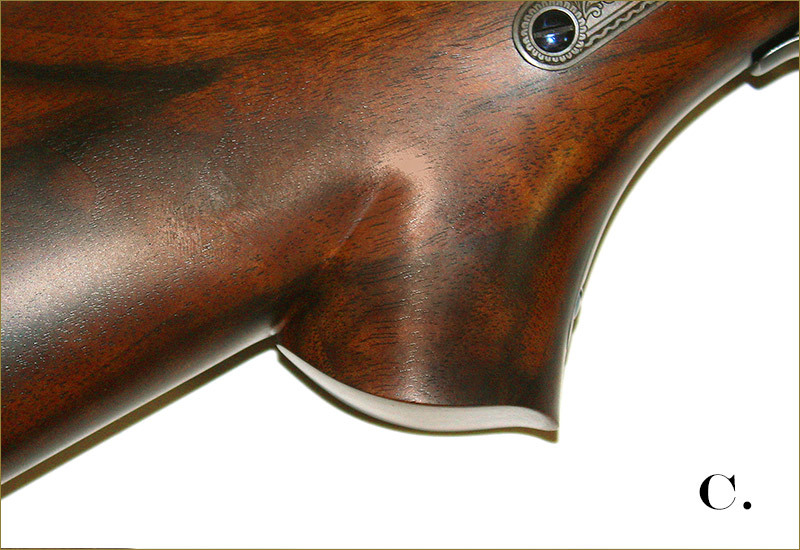 In such an event, we will contact you about appropriate alternatives. 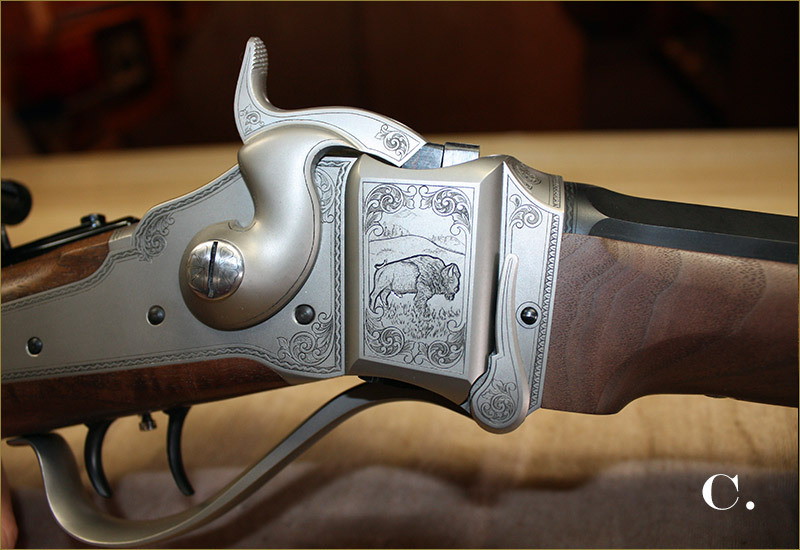 Announcing 3 new calibers being offered: 405 Winchester, Shiloh 40-82, 40-50ST. 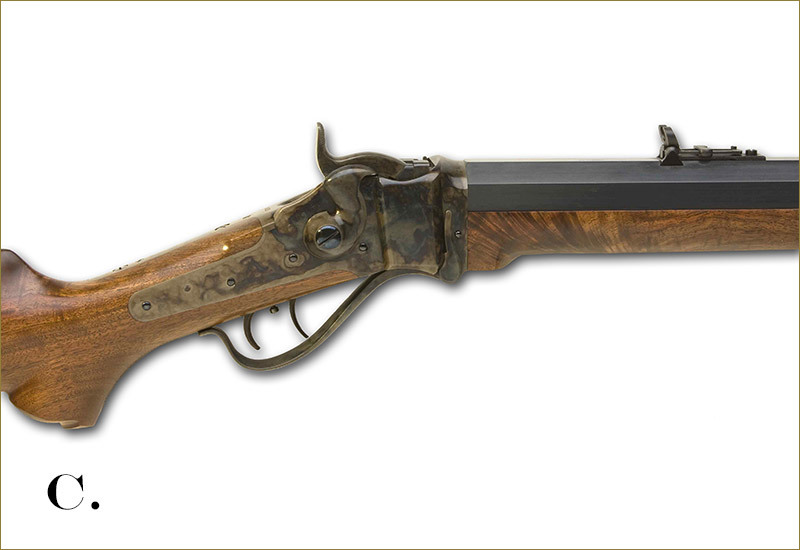 NOTE: A 405 Winchester cannot be produced in a standard weight barrel. 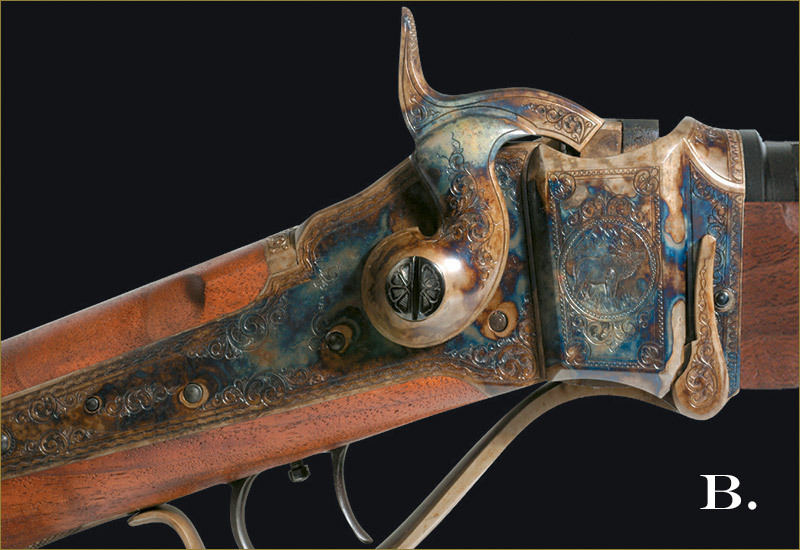 Please be advised that the difference between "antiqued" and "color-cased finish" is quite remarkable. 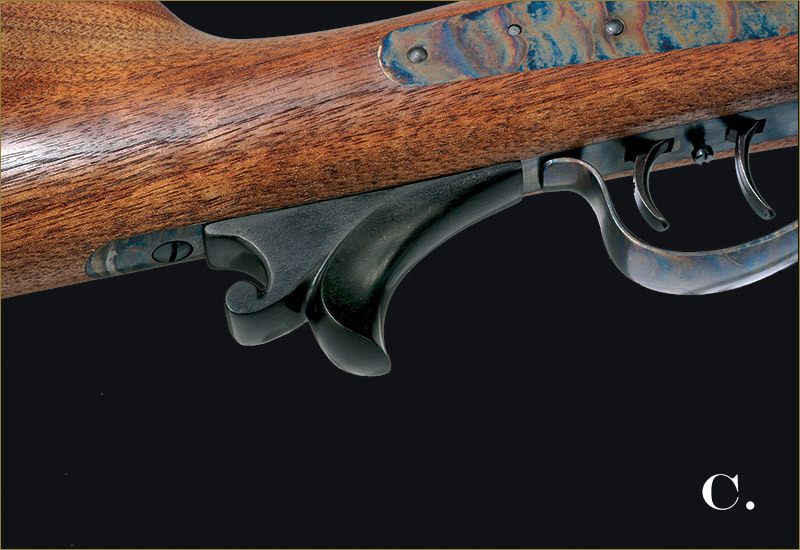 Color-cased finish yields a new-looking rifle while antique is just that--a rifle that looks every bit 150 years old. 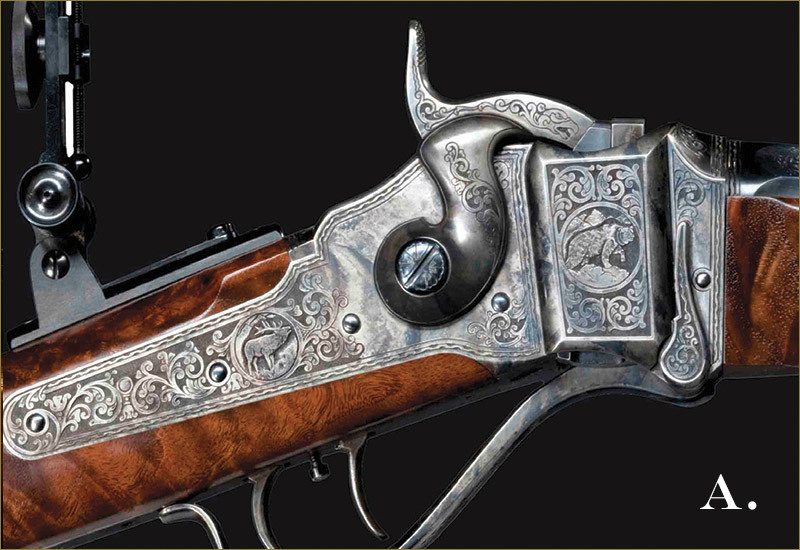 Please note: these prices also do not include engraving. 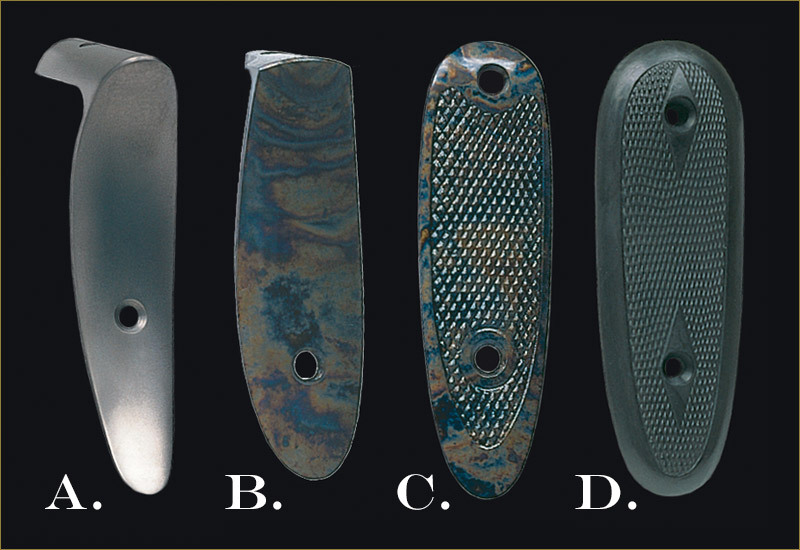 Please visit the Engraving Room for more information. 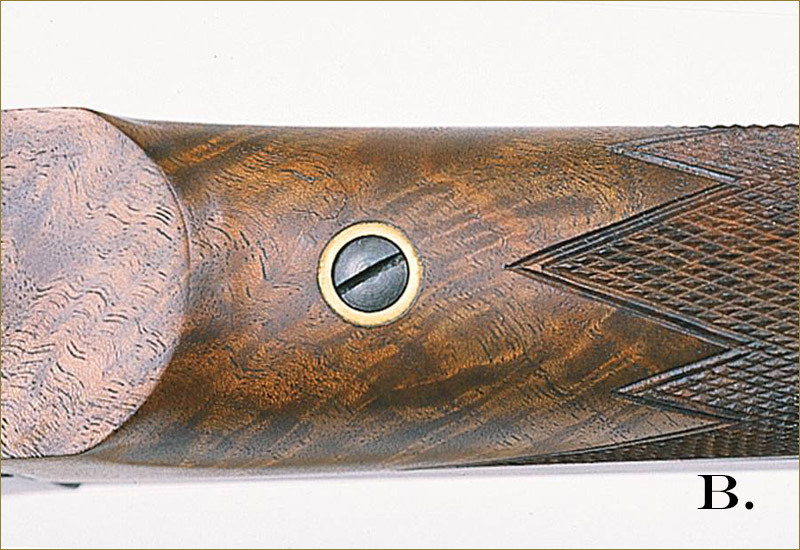 Dimensions: Muzzle end: 1.325 diameter. 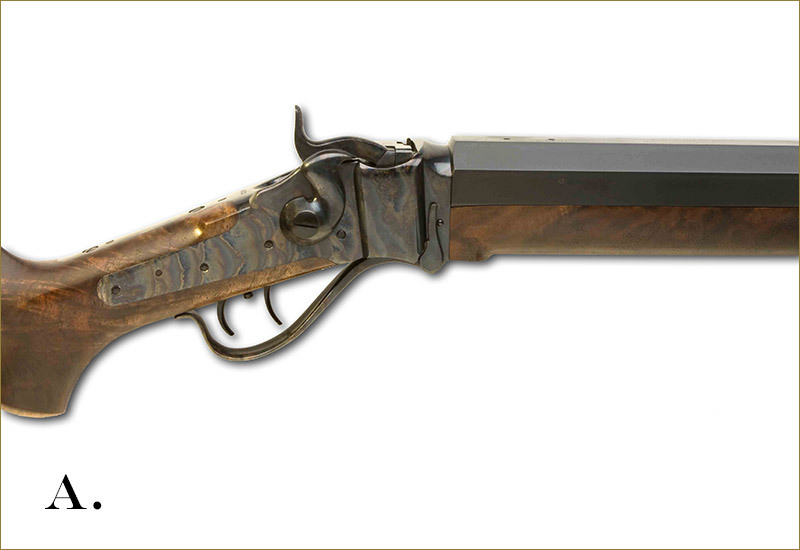 Breech end: 1.425 diameter. 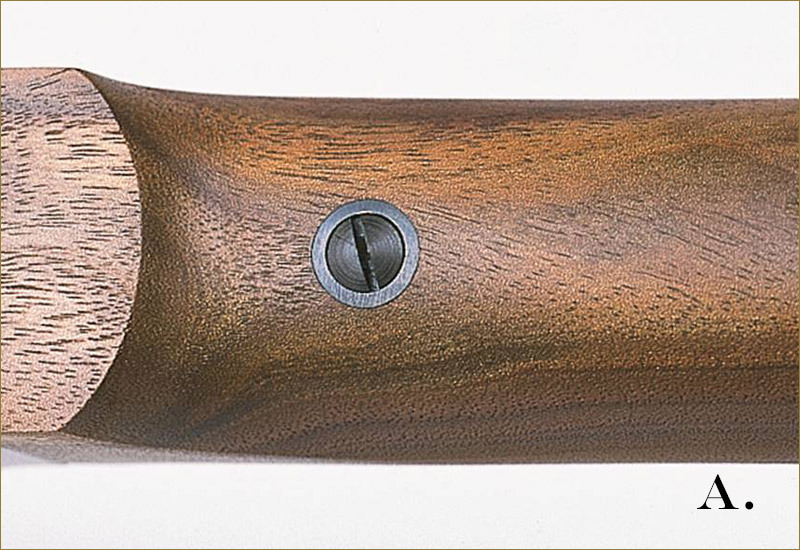 Dimensions: Muzzle end: 1.225 diameter. 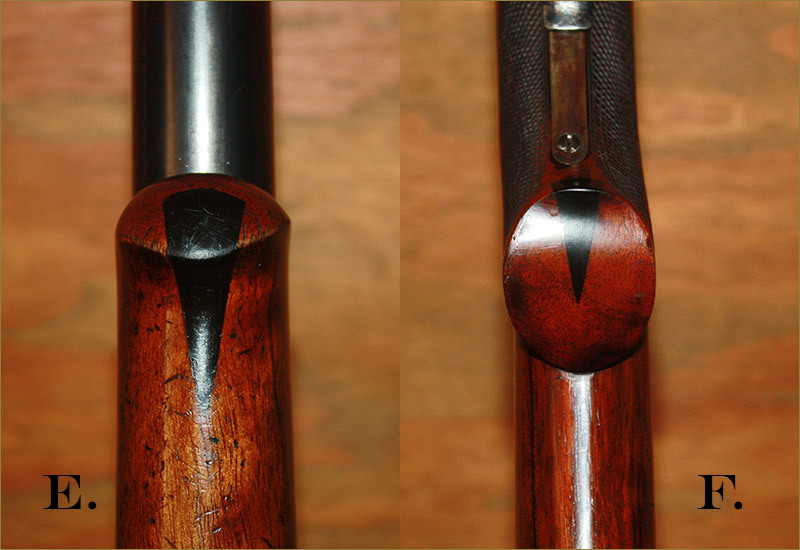 Breech end: 1.325 diameter. 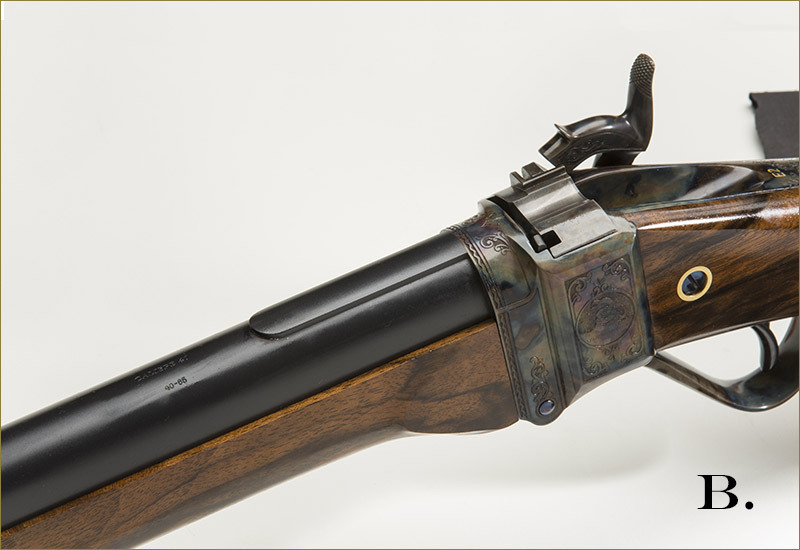 These custom features are only available for the original 1877 models. 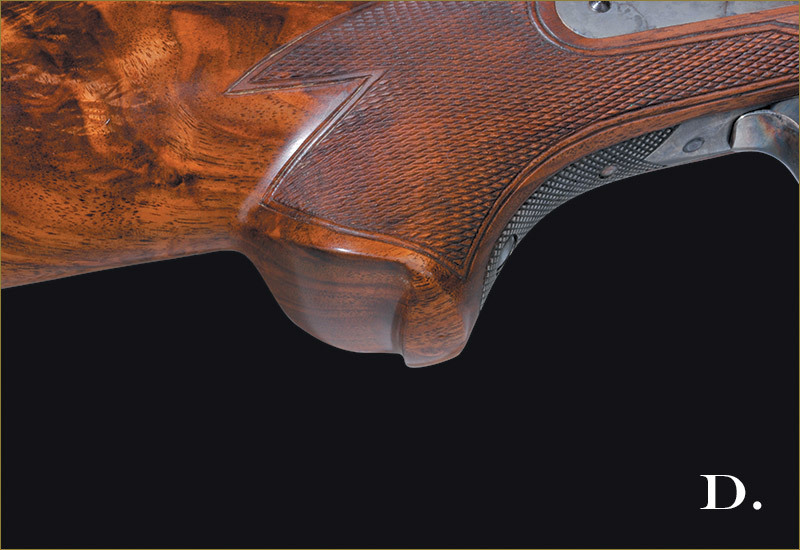 NOTE: Presentation Grade American Black Walnut is not available for the 1877 models.